SILAS is a complete data acquisition, processing and interpretation package to cover a wide range of tasks. It is source independent and can handle analogue or digital data from boomers, sparkers, parametric and chirp systems. A wide range of filtering and deconvolution techniques helps to optimize data quality. Automated and manual layer tracing, quick scrolling in the line and dynamic swapping layers over cross points helps to easily tie-in your interpretation. 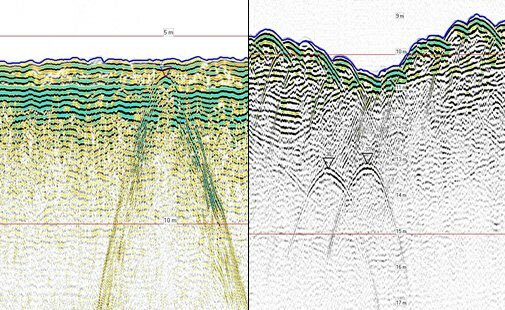 Absolute position and heave suppression tools provide direct export for contour mapping. For sub bottom classification and interpretation, borehole and map data can easily be integrated in the set. The modular set-up allows you to start with the basics and the program can grow with your needs. We work international for dreging companies, geophysical companies, survey companies, harbours, institutes, universties and more.